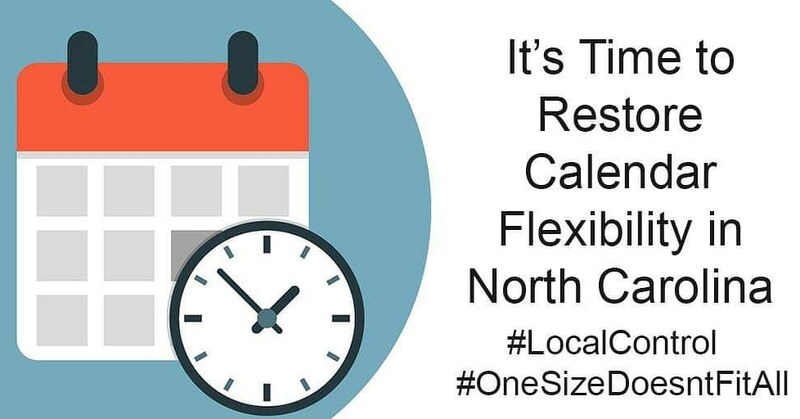 Tell them that granting flexibility doesn’t mean the calendar will change. It simply gives communities a better voice on what works best for them. Let them know that this is one issue that doesn’t cost NC taxpayers a dime. Tweet and Use Social Media.